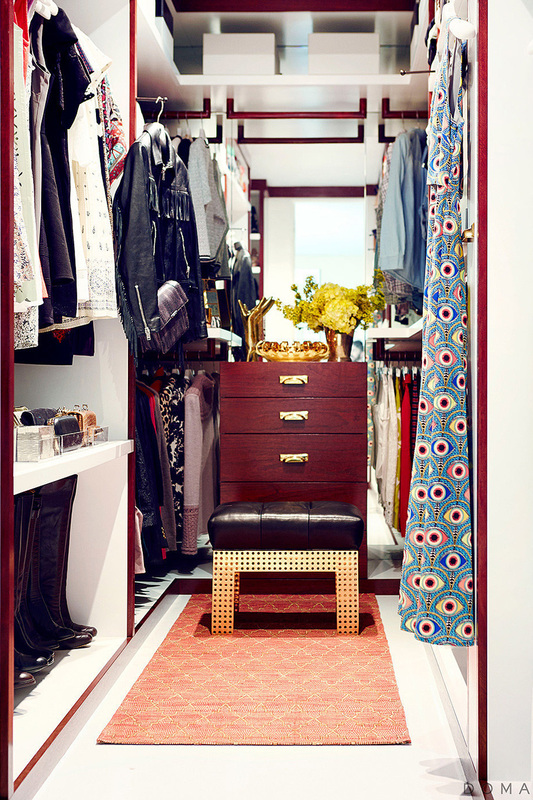 Let's snoop inside some of the biggest, most incredible celebrity wardrobes out there, shall we? As Khloe Kardashian gives fans a peek into her incredible fitness closet (that’s right, this is just for her gym gear) we’re taking a snoop inside some of the biggest, most incredible celebrity wardrobes out there. Because it’s all about #Walk-InGoals, right? Blake keeps her Chanel pearls in a perspex tray with the fashion world’s redeemer, Anna Wintour, depicted inside. Sure. In posting this Instagram snap of her closet, she’s also giving us a glimpse at her rather large shoe collection, which basically looks like an actual Louboutin store. Jealous, us? We have serious #ClosetEnvy for this one. After recently taking fans on a tour of her glam room, Kylie Jenner has released a video of her insane wardrobe – a three room affair with dedicated display units for heels, bags and red carpet gowns. When Mariah Carey posted an Insta-snap of her shoe closet this summer, the fashion world went into slight meltdown. Why? Note first, the excellent cataloguing of styles – boots, then courts, then sandals, all grouped. Note the gold leaf detailing on the floors. And finally, let’s note that this is JUST the gold section of the 1,000 pair collection. Yikes. Rosie took ultimate interiors website, The Coveteur, on a tour of her LA home, revealing her stunning boudoir set-up. With a blush velvet sofa, and tons of Louis Vuitton luggage, this is one room we’d actually rather enjoy ourselves. It’s essentially a well-stocked boutique, isn’t it? We’re really enjoying the display hooks in this room, allowing Jaime to stand back and admire her favourite trophy clothes as if they were artworks. And here’s X-tina, just archiving a few pairs of old Choos up a ladder in her shoe library. The Real Housewives star and mother to Bella and Gigi Hadid has a space of department store-like proportions to keep her stuff in. It’s undoubtedly bigger and more valuable than our entire flat. Oh please, of course we were going to end with this one. 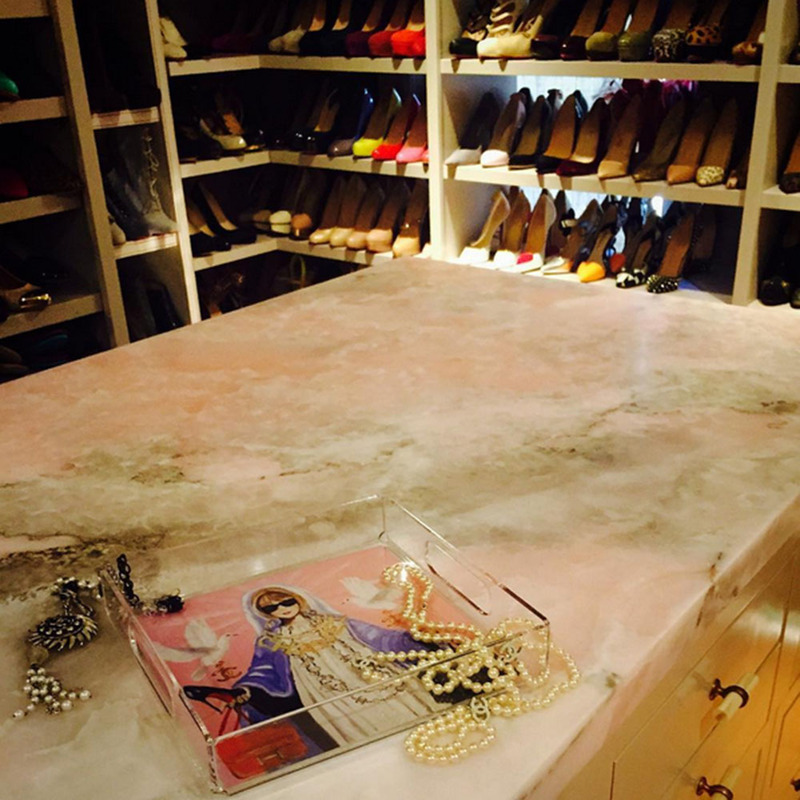 Everybody’s ultimate, Carrie Bradshaw’s closet was a treasure trove of new and vintage designer labels – and the perfect venue for many a girls’ night in. These will forever be our #ClosetGoals.